Our audio divi­si­on con­sists of three dif­fe­rent stu­di­os, each one desi­gned for a spe­cial pur­po­se and all intert­wi­ned so you can finish here what was star­ted over the­re. Mixing, pre­pro­duc­tion, syn­chro­ni­za­ti­on, com­po­si­ti­on and con­ver­si­on – for each ope­ra­ti­on you’ll find the right set-up. We’d like to draw your atten­ti­on to Stu­dio 3 whe­re the best of both worlds go tog­e­ther well – the so lon­ged for ’warmth’ of ana­log record­ings and the modern day approach of digi­tal com­mand. 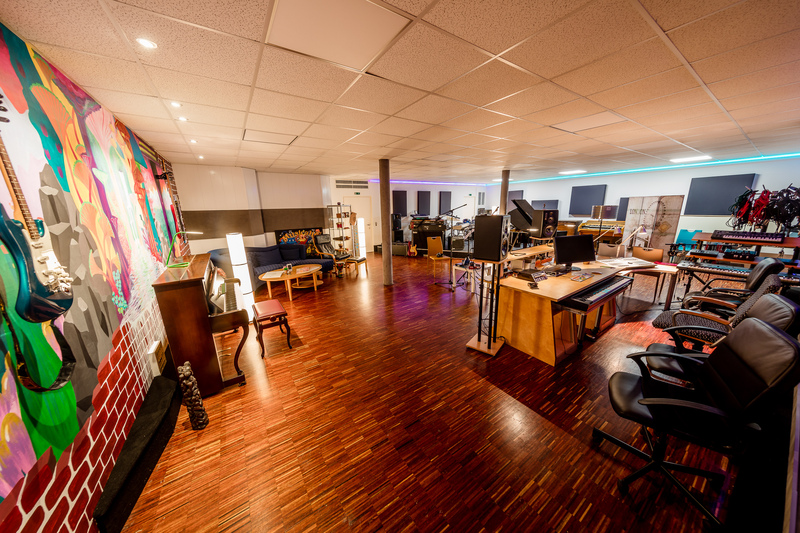 In our new­ly reno­va­ted Stu­dio 1, the­re is now a veri­ta­ble trea­su­re tro­ve of key­board instru­ments – Very Vin­ta­ge and Digi­tal / Ana­log, as well as drums, gui­tars, bas­ses and various per­cus­sion instru­ments. 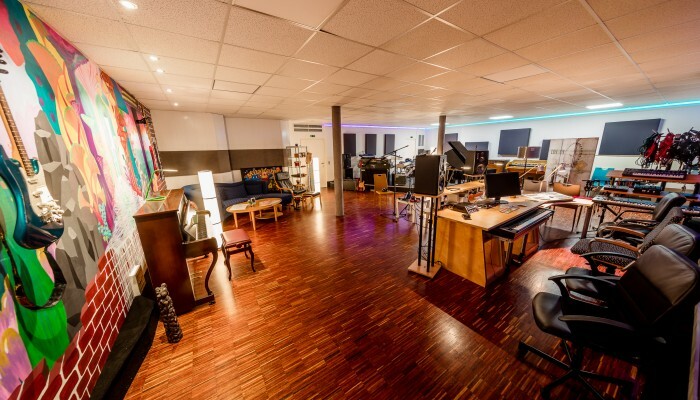 Moni­to­ring with ADAM SX3V, SSL Nucleus Con­trol­ler, Logic Pro, Mac­Book Pro etc. may not be mis­sing. The record­ing room of Stu­dio III is a magi­cal place. It’s not its size (100 sqm, 5,50 m high), it’s – as a resul­tat of inten­se acoustic work – its sound qua­li­ty. Accord­ing to requi­re­ments the sound cha­rac­te­ris­tic can be chan­ged. Curtains will’mute’ the room and make it sound dry. Wit­hout the curtains one has more reper­cus­sion and echo. Here at Stu­dio III the Scor­pi­ons recor­ded the lion’s sha­re of their most important albums, espe­ci­al­ly Rarebell’s drum sound owes a lot to this record­ing room. Suf­fice to say that the­re is room enough for rock bands but also for small orches­tra and even audi­ence if need be.